I’ve slowly but surely been getting through random tasks today. It’s nice to have a leisurely Sunday. I remembered that I had been invited to a dinner tonight, but my friend called to cancel, which was perfect, because I wasn’t really in the mood to head out for it. 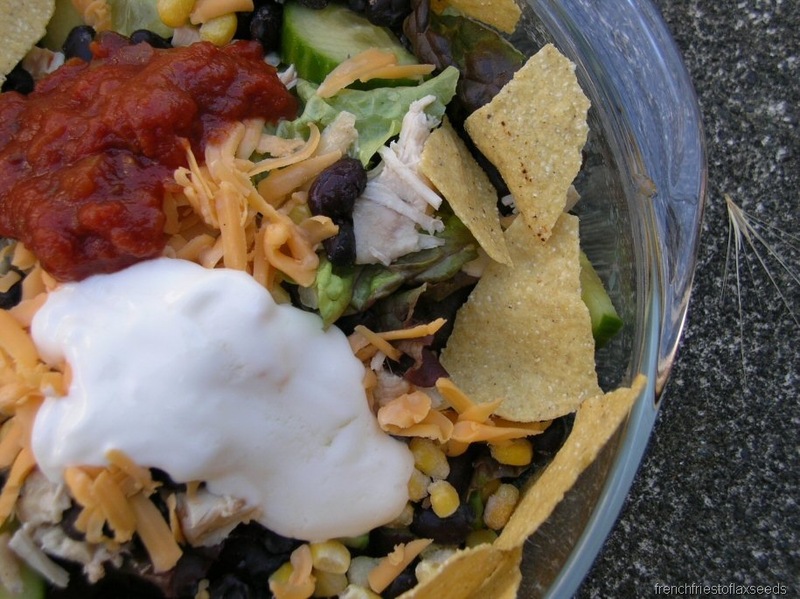 Once I got home from the grocery store, I threw together one gigantic Tex Mex salad. 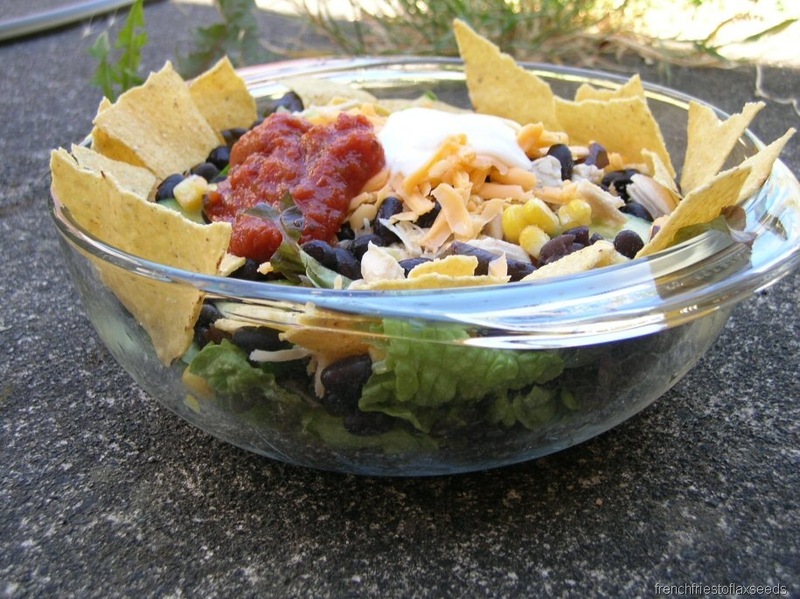 I wish I had some nicer bowls to serve giant salads in. Alas, you get a glass mixing bowl. I managed to spill salad on my freshly washed pants. Argh. I am the worst for spilling on myself when I eat. My sister always jokes that I need a bib. Although the salad completely hit the spot, I was craving a little something sweet afterwards. 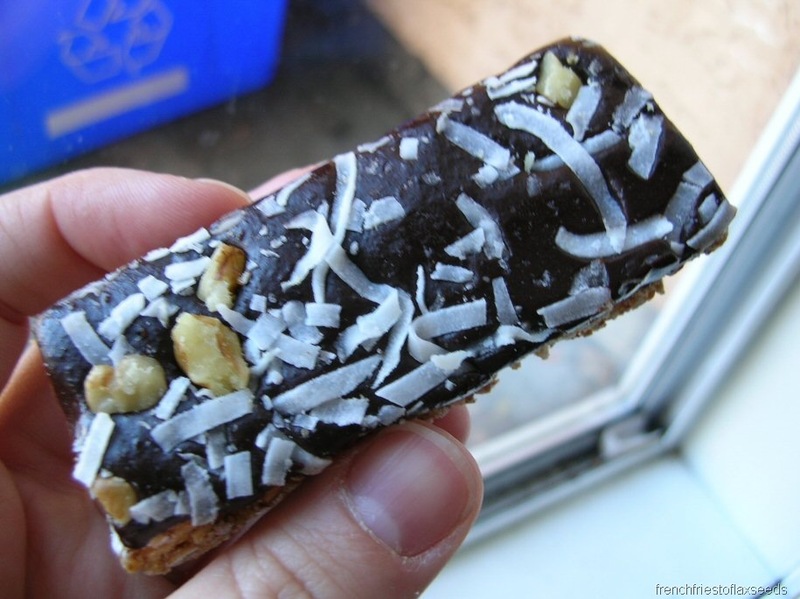 A Kashi Dark Chocolate Coconut granola bar did the trick. 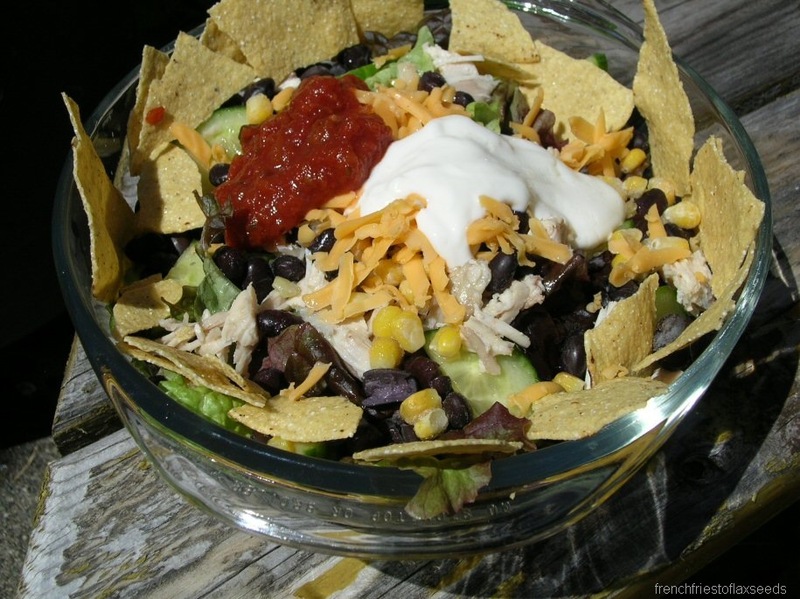 Yum, what a great looking salad! Sometimes I really enjoy relaxing at home and throwing together a fantastic, yet simple meal for myself, it’s fun! The Kashi bar looks great too, I don’t think I’ve seen that kind. I love those bars too! Yum! That salad looks terrific. Black beans make meals 23954293 times better to me! Wait! You actually made the beans? No one does that anymore! Look at you!